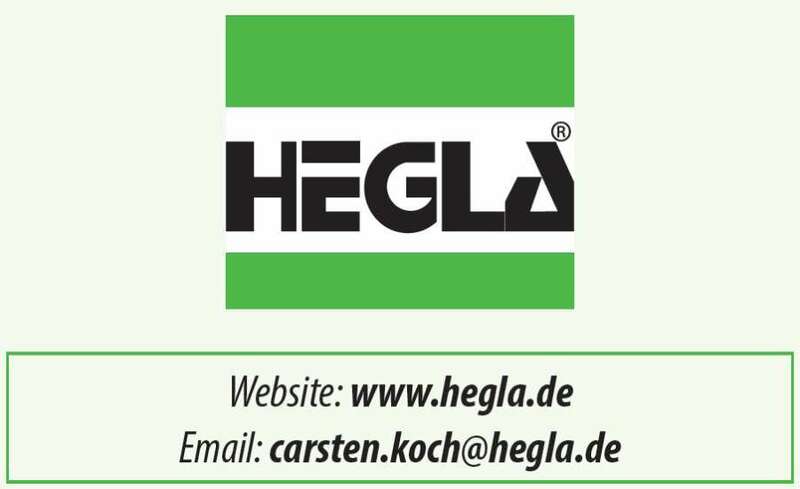 The HEGLA Group, HEGLA-HANIC and HEGLA boraident, exhibited jointly at the glasstec trade fair in Düsseldorf under the motto “Shaping the future and providing impulses for the present”. The new technologies that greeted visitors at the stand include a new highperformance cutting system for laminated safety glass, Industry 4.0, an Autonomous Guided Vehicle system (AGV) for mobile storage racks, laser film separation for laminated safety glass and the laserbird for glass finishing. In addition, the non-destructive laser marking system ‘UniColor’ and the flatbed vacuum autoclave ‘LamiPress’ grabbed much attention. High-performance cutting system for laminated safety glass “After many years of ever more demanding production cycle requirements and rapidly increasing competition in the glass sector, we thought it was time to take stock and look for fundamentally new approaches,” HEGLA COO Bernhard Hötger said, describing the innovation process the company has been undergoing over the last two years. He explained that one very good outcome of this strategy is the new StreamLam, a new high-performance cutting system for laminated safety glass, which was shown to the public for the first time. With the reinterpreted cutting process involving simultaneous yet uncoupled processes as well as a comprehensive control concept, the StreamLam will be able to realise up to 30 per cent more output than conventional production line solutions. Intuitive user interface, digitalisation and networking With a special section of the stand dedicated to Industry 4.0, HEGLA provided an insight into the company’s goals and vision for the future. Visitors who showed interest in taking a look at sub-projects in this area that have already been realized, were shown a new intuitive operating concept being demonstrated on the RAPIDLINE. This aims at further facilitating communication between man and machine and making it more user-friendly. According to Hötger, operators will receive even more support and information that is relevant to them directly at the machine – be it about maintenance intervals, downstream processes or the current key production figures. Only a few metres away, software solution provider HEGLA-HANIC demonstrated its concept of a modern manufacturing execution system (MES). In this, the data of the networked systems would be brought together and, for instance, made available clearly laid out to the operations scheduling staff for the purposes of production control and planning. Depending on the software integration depth, some automated data analysis will take place, resulting in corresponding adjustments to production processes. Self-driving AGVs as components of the Smart Factory The vision of a Smart Factory and a new generation of shop floor logistics is at the centre of the scenario involving so-called Automated Guided Vehicles (AGV) – a transport solution for mobile storage racks, A and L-frames. The AGVs are integrated into the production software and perform logistics tasks, for instance transporting items between the cutting lines and the downstream processing or buffer stations, operating independently with automated guiding and scheduling. “The greatest advantage of the AGVs is their flexibility,” emphasizes Bernhard Hötger. “With the AVGs forming an integral part of the control system developed by HEGLA-HANIC, routes and orders can be adapted – either via system control or by the operator – to machine availabilities or changing processing priorities.” Laser film cutting and precise laminated safety glass model cutting Technology enthusiasts enjoyed taking a look at the RapidLam model cutting machine for laminated safety glass, which has been equipped with the company’s patented laser film cutting technology as a development trial. First, the interlayer is cut by the laser integrated in the machine and then the cut contour is scored with high precision using two synchronous cutting heads. It is then a very quick job for the operator to detach the model from the sheet. Patented technology leap in the manufacture of laminated glass and laminated safety glass Outstanding cutting accuracy combined with a userfriendly separation process for laminated safety glass. For demonstration purposes, HEGLA will be showing the model cutting machine RapidLam, equipped with the company’s patented laser film cutting technology. The manufacture of laminated glass and laminated safety glass also dominates the showcasing of the flatbed vacuum autoclave LamiPress that was exhibited in collaboration with Fotoverbundglas Marl GmbH and TU Darmstadt. With an innovative combination of positive pressure, vacuum and heat conduction, the machine is capable of processing a great variety of glass (float glass, toughened glass, tempered glass, thin glass, structured or specialpurpose glass) and interlayers (PVB, SentryGlas, EVA, TPU) with short cycle times from just 40 minutes to produce high-quality and certified laminated safety glass. LamiPress also offers flexible options for special lamination processes. The different types of interlayer, the types of glass and the laminate thickness can be mixed and combined at will within a batch. Higher value creation through laser-assisted glass finishing In a first, the HEGLA exhibition space included exhibits from HEGLA boraident, which was incorporated into the group just under a year ago. The laser experts attracted visitors’ interest above all with their enhanced laserbird. Laser-assisted and without affecting the product’s optical quality, this machine can apply coatings to produce smart glass with features such as better mobile radio wave permeability and active bird protection, and it is capable of creating conductors for technical applications within the coating. Thanks to the material-friendly process, the laserbird’s strengths include the non-destructive removal of coatings at the edge, which satisfies even the high demands of structural glazing, as Head of Development Dr. Thomas Rainer explained. He added that besides processes to functionalise glass, the machine can also be used to produce decorative effects. And by means of altering or removing layers, changing the glass surface or laser printing, it is possible to fashion highquality one-off items matched precisely to a customer’s wishes. Asked about a response on glasstec, COO Bernhardt Hötger said, “That is where the global glass industry meets every two years to exchange information and discuss the trends for the next few years.” laserbird for glass finishing – with laser assistance, this machine can add coatings to produce smart glass, for instance for active bird protection or to achieve significantly better mobile radio wave permeability. This machine is also able to add decorative features to glass, using the non-destructive laser printing process among others. LamiPress for manufacturing certified laminated safety glass to customer specification in short production cycles, combining, for instance, float glass, toughened glass, tempered glass, thin glass, structured or special-purpose glass and diverse interlayers (PCB, SentryGlas®, EVA, TPU). Manufactured according to customer specifications.